On 24th and 25th of May, Green Play partners gathered in Lisbon, Portugal, for the fourth project meeting. The project, now on the beginning of the implementation of the pilots, is evolving at speed of light, with the motivation and dedication of all partners. In Lisbon, we discuss the progression of the project within the partners, the major problems and how to work around them, like the stakeholder’s role and how to involve and motivate them, as other subjects like communication and dissemination. 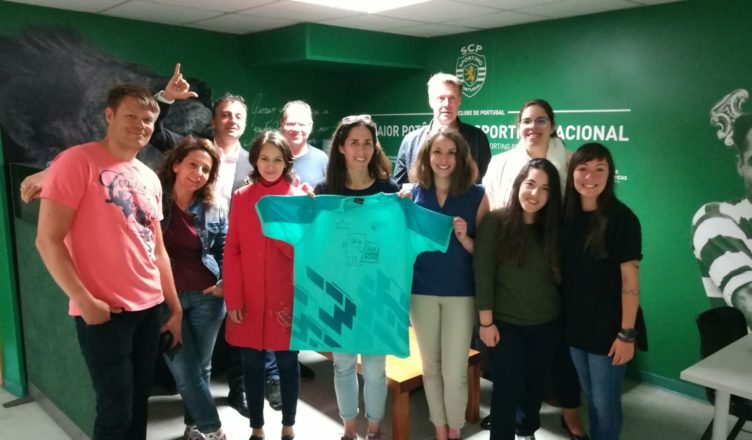 During the meeting in Lisbon, the partners had the idea of creating a mini-green play tournament with youth (14 years old boys and girls), parents and coaches from Spain, Italy, Portugal and Finland, in November. The mini-green-play tournament will coincide with the final seminar, and will also have several workshops for parents, coaches and young people. In Lisbon meeting, and like in the other meetings, the partner had a little team building moment, where the team spirit and confidence between partners was reinforced.